2018 marks 100 years since the end of the First World War and it is our chance to sit back and reflect and offer our deepest gratitude to those who fought so very hard to keep England free from tyranny. 10,000 members of the public are being invited to parade past the Cenotaph following the traditional British Legion Veterans march on Remembrance Sunday. Bells will also feature in the celebrations as the UK and German Governments have agreed to take part in an international event ‘Ringing Out for Peace – Battle’s Over’ which is set to take place on 11th November also. Campanologists from across the UK and Germany will ring their bells and join more than a thousand churches and cathedrals which will be the most widespread bell ringing since the end of the First World War. More than 1400 bell ringers died during the conflict, so it will be a fitting tribute to those and all the men and women who lost their lives on land or the high seas. The UK event will be mirrored in Australia, Canada, Denmark, the USA, Somaliland and our own Channel Islands and Isle of Man. 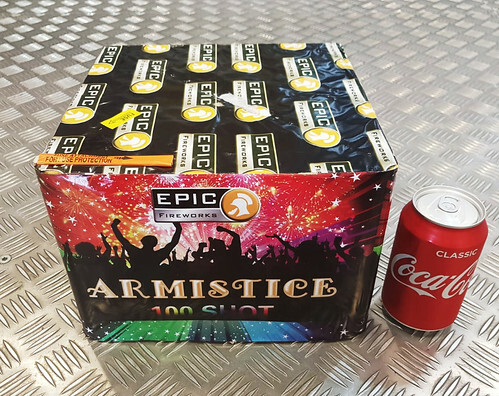 In our own nod to those who lost their lives, we have had a 100 shot all red firework called ARMISTICE made which will be with us in time for Bonfire Night and of course, the innumerable Remembrance events which will be taking place this year. 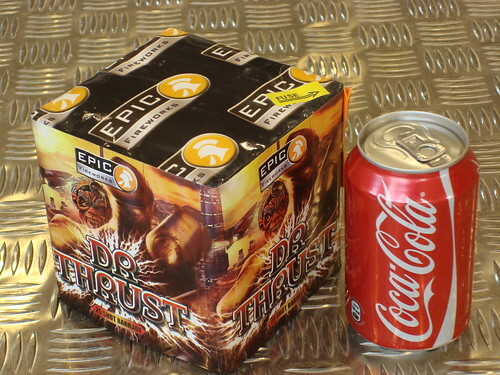 ARMISTICE 100 SHOT 1.3G FIREWORK BARRAGE #EpicFireworks from EpicFireworks on Vimeo. Dr. Thrust by Epic Fireworks. The 25 shot 1.3G range of fireworks is exceptional, perhaps the most popular barrage is the Dr Thrust. This firework begins with quick fired loud purple and blue mines which compliment the high bursting peonies, overlapping with strobing crackles and green glitter. Ending in large silver fizzing UFO’s, which break into large silver peonies. Dr. 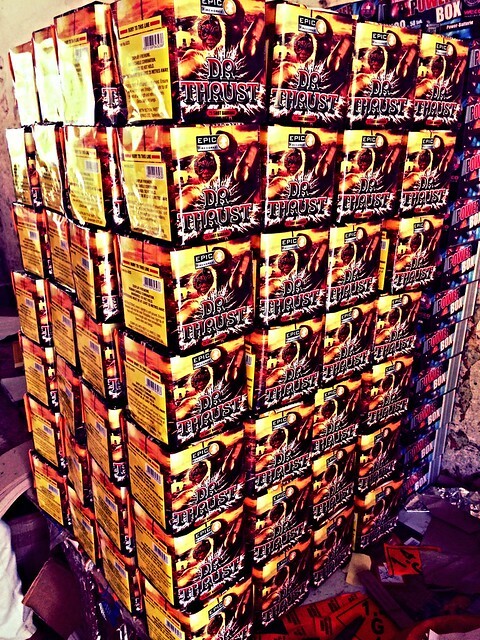 Thrust is a terrific value small single ignition firework with 25 shots, with five different effects fired in turn. This one was reviewed in Front magazine in October 2010 and the boys at the publication house had a great time firing this one off. Broughton Hall is a beautiful Georgian Country House which has been home to the Tempest-Baronets for over 900 years. The current residents are the 31st generation of the Tempest Baronets to make Broughton their home. The hall is set in 3000 acres of beautifully landscaped grounds and is positioned just 3-miles outside of the town of Skipton, North Yorkshire. The hall recently underwent a massive refurbishment, whilst still carefully retaining the character and age of the property. Last year Broughton Hall attracted crowds of more than 2000 spectators and the staff working for the Hall said that the fireworks event was superb and was complete with ‘brilliant entertainment and the best of Yorkshire’s food and drink and of course, camping’. There are 3 teams competing who will each produce a magnificent firework display choreographed to music. The teams only use CAT 4 fireworks which are NOT available to the general public and are the loudest, biggest and brightest that the UK has to offer. The pyro comes from all around the World from China, Spain, Germany and Italy and will include all manner of different effects. 9:30pm – Phenomenal Fireworks, Standish. The team fired last year at Capesthorne Hall where I thought that the section fired to ‘Diamonds’ by Rhianna was stunning. The team provided displays all over the UK with a team of firers. Good luck. The display was designed by Andy Slinn and the firing system in use is FireByWire. 9:45pm – Skyburst the Firework Company, Bristol. This company has been in the fireworks business for over 30 years and it remains a family business and this is the third time they have fired at this event. With a team of 250 firers working all over the UK they are kept busy all year round firing displays of all kinds from small personal parties to huge corporate or national celebration events. The firing system being used is Fireone. 10:00pm – Optimum Fireworks, Yorkshire. Established in 2010 but the staff have fired for other companies for over 13 years before setting up their own display business. In their words ‘we’re not just passionate about pyrotechnics its much more than simply a job to us, we love them!’ The firing system in use is FireByWire. Voting for the winner is carried out by text message and the audience choose their favourites and whilst the calculating takes place, the organisers and professional display team from the fantastic MLE Pyrotechnics will keep the visitors entertained with a finale show which is sure to take everyone’s breath away. The fireworks event of the year has to be the Firework Champions. As with the other stately homes holding this prestigious event, you are able to just go along to enjoy the fireworks or indeed spend the day there with family and friends and perhaps camp overnight. We would absolutely love to see any video or stills you take on the night so if you could send them over to us at [email protected] we would appreciate it.